OLATHE, KS —Terracon, a leading provider of environmental, facilities, geotechnical, and materials services, has continued a pattern of growth and its market presence expansion as evidenced in Engineering News-Record’s (ENR) annual listing of top design firms and top regional design firms. Terracon’s focus on strategic business sectors within its core service lines has resulted in strong growth — transportation revenues up 8 percent; power generation and transmission (including renewable energy) revenues up 45 percent; and oil and gas revenues up 39 percent. By providing local service with support from offices nationwide, Terracon continues to support clients’ business objectives. ENR performs annual surveys of the construction industry’s key segments and ranks companies engaged in general contracting, specialty contracting, engineering, architecture, and environmental services, among other specialties. The rankings, based on annual revenue, are further divided into market categories and geographic regions. Significant upward movement in the Top Design Firms regional listings includes rising to #9 in the Southeast, #10 in the Southwest, #11 in Texas and California, and rising ten places to #41 in California. 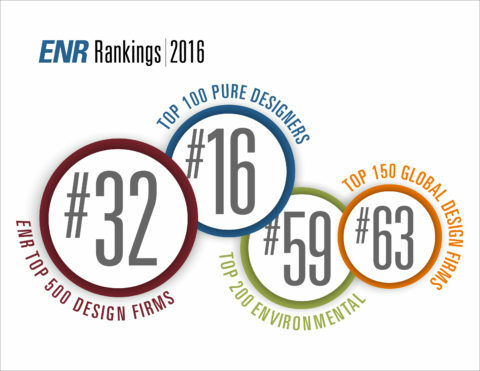 A full list of ENR rankings can be found here.